Please scroll down for our full range of moisturisers. 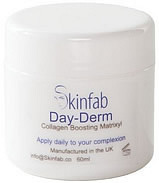 Collagen Boosting Moisturiser with Matrixyl 3000, Vitamin D and E antioxidant, and Hyaluronic Acid. Light Cream base for day time use. 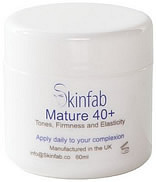 Clinically proven to improve the various manifestations associated with skin aging in mature 40 plus skin. Rejuvenate Exfoliating Moisturiser. Exfoliating Glycolic, Lactic, Malic & Tartaric Fruit Acids. Many skin problems are associated with hyperkeratinisation, which is the accumulation of excess dead cells on the surface of the skin. Renewal A Moisturiser. Vitamin A.
Vitamin A boosts collagen production giving you a firmer skin. Powerful anti-oxidant reduce wrinkles and fine lines and fade sun/age spots. Works as a mild exfoliant removing tired dead skin giving you a clearer, healthier complexion. Apply neat to the skin or add a little to any of our creams or serums. Reduction+ Moisturiser. Accelerates Peel Results & Reduces Blemishes. Contains the 5 amino acids that are converted by the skin into collagen and elastin proteins. Can be mixed with our "Vitamin C serum" to boost results. An effective, safe, and inexpensive alternative to injected dermal fillers. Incorporating the Gold Award Winning Neodermyl (In-Cosmetics innovation Award 2013) and Novhyal - the third generation hyaluronic acid our serum can achieve comparable results to an injection of dermal fillers after 15 days use. (source American Society of Plastic Surgeons – 2013). And, with continued use, beyond 15 days, can achieve superior results. Organic sun screen SPF15 with skin conditioning agents for aftercare following a facial peel. Panthenol, Vitamin B5. Anti-wrinkle. Increases Skin Cell Renewal, and Skin Elasticity. Hydrates and Plumps the skin further reducing lines. The power of regeneration, Protects longevity of skin stem cells, Combats chronological aging, Delays senescence (ageing) of essential cells.